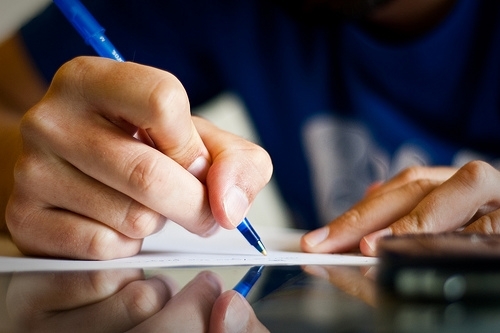 One of the most nerve-wracking aspects of applying for college is writing the college essay. It is your sole chance to show the admissions staff that you are more than what is shown on your transcripts. The question is, how do you go about writing a successful college essay? If you are having difficulty, here are six tips that may help you put together an essay that will get your foot in the door at the college of your dreams. In this case, your audience is the members of the college’s admissions board. Remember, it is their job to make sure that the applicants they accept into the school are going to be a good fit. Your job, as you write your college essay, is to highlight the personal accomplishments, goals, and personality traits that you believe closely match their expectations. For example, imagine that you are applying to a school that has a long and well known history of community service and involvement. Chances are, you would want your essay to demonstrate your own caring and compassionate attitudes towards others, and any community service or volunteer work that you have done. Of course, content is not the only consideration. You should also pay attention to your writing style. If you are applying for entry into an elite business college, where the environment is solemn and dignified, for example, you may wish to avoid a casual conversational tone. On the other hand, a conversational tone might be perfectly acceptable, even preferred, in an application essay for another institution. Nobody has ever gained admission to a college or university by minimizing their accomplishments. If you are by nature a humble person, it can be difficult to spend a few hundred words talking about your achievements, or your best personality traits. However, if you want to be admitted into the school of your dreams, you will just have to step out of your comfort zone, and start writing. Remember that this is your time to sell yourself. This may be the most important item to remember. College admissions staff receive essays everyday in which students claim to be honest, hardworking, compassionate, smart, and more. Unfortunately, many of these essays contain no evidence supporting these claims. Don’t tell the college that you are hardworking, demonstrate that personality trait. What have you done that exemplifies hard work? Maybe you worked two jobs while you were in high school in order to help your parents pay for you to attend a private school, or perhaps you worked out two extra hours everyday in order to improve your performance on the football field. If you mention either of these things in your essay, you won’t need to claim that you are hardworking, because you’ve already proven it. In many cases, colleges have specific directions they ask students who are submitting application essays to follow. Sometimes these instructions are so detailed that they include a limit on the number of words, a specific font type and size, and/or the format of the title page and any headers. Please follow these instructions to the ‘T’. Some colleges and universities have software that scan essays in order to route them to the correct place. If your essay can not be scanned, because you failed to follow instructions, it may be discarded before anybody reads it. 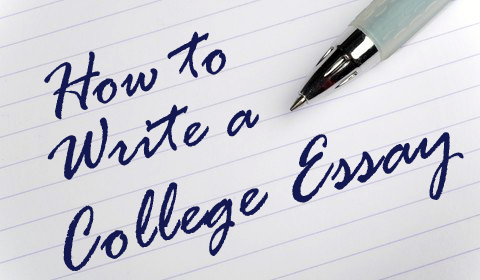 In addition to this, your college may have specific essay questions on which you are supposed to base your essay, or they may use the common application questions. If this is the case, please make sure that your essay conforms to one of the topics available to you. It may be tempting to try to write about every one of your accomplishment, or to discuss every single positive personality trait that you possess, but if you do so, your essay is going to be scattered and disjointed. Many students who write successful essays do so because they find one thing to focus on, and they base their essay on that. One way to accomplish this is to focus on a single characteristic that you have, and that you want to demonstrate. For example, if you want to demonstrate that you are intelligent, the focus of your essay might be on academic awards you have won, honors classes you have taken, and any academic clubs or organizations that you have joined. If you would prefer to highlight several positive characteristics instead of just one, it might be a good idea to construct your essay around a specific life event that demonstrates them. One example of this would be writing an essay on the work you did to earn the rank of ‘Eagle Scout’, or an essay on becoming the editor of your high school newspaper. Sloppy spelling and grammar mistakes send a message to your reader that you don’t care. This is definitely not the message you want to send in your college essay. Before you send in your essay read it over and over again to make sure that you haven’t missed any mistakes. Ask a friend or family to review your essay also. A second set of eyes almost always reveals something that you have overlooked. As you review your work, you should also be on the lookout for cliches, awkward sentence structure, use of slang, or other elements that might make your writing look less than professional. Hopefully, these tips will help you get through what can seem to be an insurmountable task. However, if you are still unsure of how to proceed in writing your college essay, remember that TrustEssays.com is a great website where you can find lots of essay writing help. The friendly staff members can help you create a well written essay that will impress the staff members at any college.